Your clothes. Where you can see them. Get more out of the clothes you already own with help from Gloria. Tell us who you are, what your day-to-day life's like, how you like to dress, what your style goals are. This part takes about 5 minutes. Browse and pick the perfect stylist. Your stylist comes to you, photographs your clothes and teaches you how to wear them. Our vetted stylists have styled everything from red carpets to runways to running errands. Say hello to your closet. Online. After your in-home wardrobe shoot you'll see the clothes you already have in a totally new light. 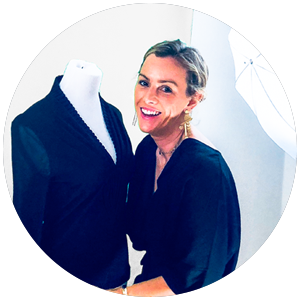 Your stylist will create looks - using your existing clothes as a foundaton - that help you get more out of what you already have. Your own personal stylist, any time and anywhere. This changes everything. You're connected to your stylist via rich messaging. Send a photo, jump in chat, get input. Have a trusted stylist who's always just a message away. Get help shopping, packing, styling. Whatever you need help with, your stylist is there. Need some new work clothes, or help with a packing list for a trip? Your stylist has you covered. Not a Monthly box or rotating roster of Part time stylists. A vetted, professional personal stylist focused on you. The top personal styling talent. Your independent Gloria stylist will give you a totally personalized, there-when-you-need-it, styling experience. Our industry-leading technology lets you see your clothes in a whole new way. Get more out of the clothes you already have. Gloria's a brand new, expert-guided way to own and wear your clothes. With Gloria, your relationship with your stylist centers around your wardrobe. Unlike other online styling services that blindly recommend buying, Gloria helps your stylist thoughtfully build on your prior investments. Discover new styles and brands. Dress better, feel great. Always a second opinion. Styling help when you need it. Easily add new pieces to your closet in the app. The more you use it, the better it is.